We have already given you some lovely Free Crochet Pattern for apparels like Summer Dressed, Summer Ponchos, and Summer Shorts. So let us see how you can rock these beauties with a touch of some lovely Crochet Summer Necklace. Who doesn’t love some colourful accessories right?? It is Summer after all. Bring those colours out of your Stash and start making these beauties. Summer necklace by Tilley Bancroft is a nice pattern made using DK weight yarn and a 5.00mm crochet hook. Forever Summer Necklace and Bracelet Set by Rhondda Mol (Oombawka Design) is a very intricate one made using thread and a 2.25mm crochet hook. 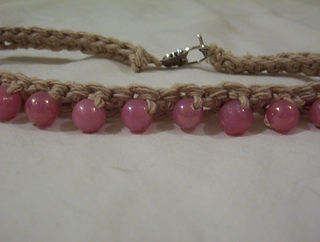 Summer Beaded Choker by Angie Briggs is a choker style one made using Worsted weight yarn and a 4.00mm crochet hook. 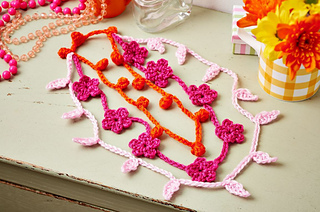 Summer Flower Necklace by Tatiana Brestovanska is a nice one made using thread and a 1.5mm crochet hook. 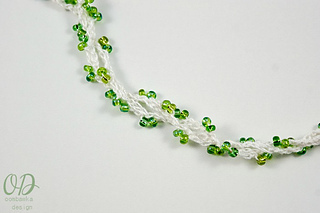 The White Flower Necklace by creativeyarn is a cute one made using Worsted weight yarn and a 4.00mm crochet hook.